The Tudor collection achieves a delicate balance between elegance and performance, showcasing classic refinement with a modern twist, where attention to detail and clean lines emphasise timeless style. Beaverbrooks are proud to showcase the Tudor collection, which is available exclusively at out Manchester, Chester, Oxford, Doncaster and High Wycombe branches. Founded on 6th March, 1946, by Hans Wilsdorf, celebrated founder and watchmaker of the Rolex Watch Company, the Tudor Watch Company was created on the premise of offering his customers the standards and dependability for which Rolex was famous for, but at a more modest price. Arriving in the market at a time when demand for wristwatches was growing rapidly, Tudor swiftly made a name for itself and soon came to the point where it completely separated from the brand with a crown. 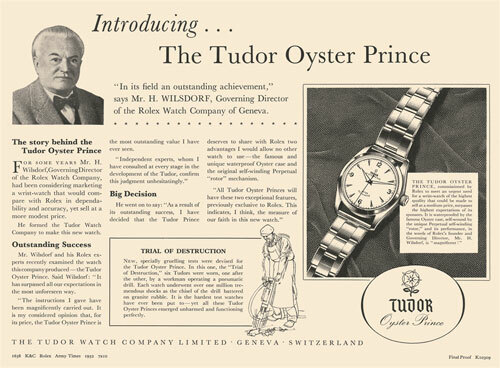 In 1952, the iconic Tudor Oyster Prince was launched, accompanied by an impressive advertising campaign which showed illustrations of men working in extreme conditions whilst wearing a Tudor watch. These strong images emphasised the strength and quality of Tudor watches, giving them a style and personality that reflected the ideals of modernity and flexibility. For Tudor, 1954 was a historic year that saw the company setting out on a new path which would contribute to forging its legend. Designed from the outset to excel in durability, reliability, precision and waterproofness at a modest price, the Tudor Oyster Prince Submariner was born. Quickly becoming established as an instrument of choice for professionals, this remarkable watch continued to evolve over the next 45 years to even better meet the needs of the professional diver. For nearly half a century, Tudor has left its mark on the history of chronographs. Constantly improving its products and imbuing them with a strong identity, unique style and uncompromising quality, Tudor has proved more than equal to the task of standing apart in the field of sports chronographs. Building upon its reputation for pushing the boundaries, Tudor is renowned for its use of high-tech materials and intricate attention to detail. A Tudor watch lives. Pulsates. 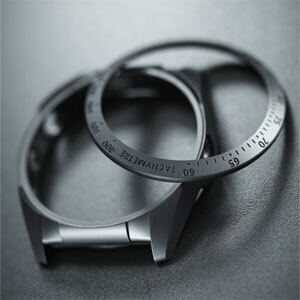 The state-of-the-art technology in all of its components is relentlessly rested to the smallest detail. As pleasing to the eye as to the mind, the exceptional material, durability and strength of design make each Tudor watch a unique object. A collection dedicated to speed and performance, the Tudor Fastrider Black Shield is the first Tudor model to feature a new matt black scratch-proof ceramic monobloc case. Made in one process using nothing but high-tech injected ceramic, its complex manufacturing method was perfected during the creation of the bezel for the critically acclaimed Pelagos line, and ensures that both the Fastrider’s middle case and bezel are exceptionally reliable and resistant. A distinctive and instantly recognisable hallmark of the Tudor brand, their meticulously hand-crafted fabric straps are fashioned by a company that is guardian to a century-old artistic craft. Injecting an additional touch of style that reinforced the resolutely modern and sophisticated Tudor identity, their unique hand-made quality endows the Tudor watch with a singular dimension which expresses the cutting edge style that this peerless brand has become well-known for. Taking reliability as its watchword, a Tudor watch symbolises a love of detail and perfection, re-discovering the traditional art of hand-craftsmanship along with quality materials and rigorous quality control. A Tudor watch is not created but rather brought to life with meticulous craftsmanship, a calm patience and an appreciation of precision which is built upon the skill of years. 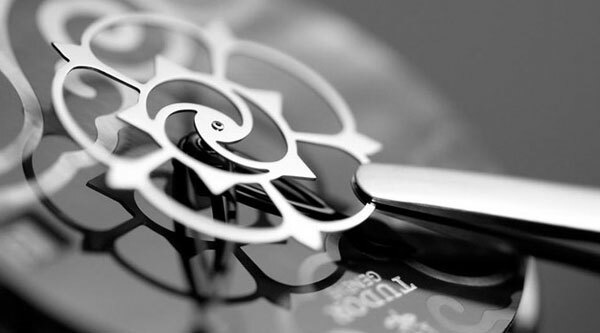 As a whole, a Tudor watch is a thing of beauty, however each component of the watch demands admiration. 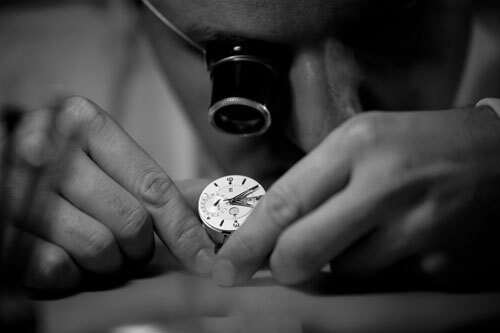 Scrutinised and meticulously checked at each stage of production as part of their endless quest for absolute precision, each and every Tudor watch has been the singular focus of dozens of skilled experts, to ensure that the Tudor watch that will finally adorn your wrist gives you complete aesthetic pleasure. 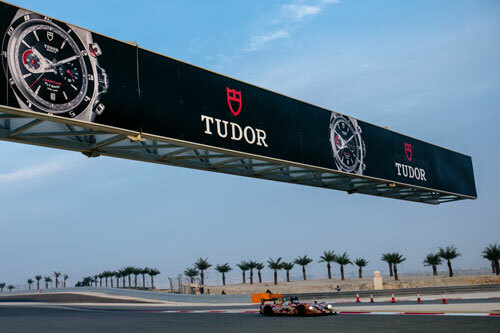 Now the official timing partner of the FIA World Endurance Championship, this natural extension of the fabulous history that has linked Tudor to the world of motor sports for over half a century, unites two partners who have made passion and performance the keys to their success. Tudor’s recent partnership with Ducati also serves to reinforce the watchmaker’s thoroughly modern sporting vocation. Demonstrating an ongoing quest for high-performance functionality and original design, combined with a sporty style that is both polished and distinctive, Ducati’s powerful Made in Italy engineering is a perfect match for Tudor’s Swiss Made craftsmanship.